orange you lucky! 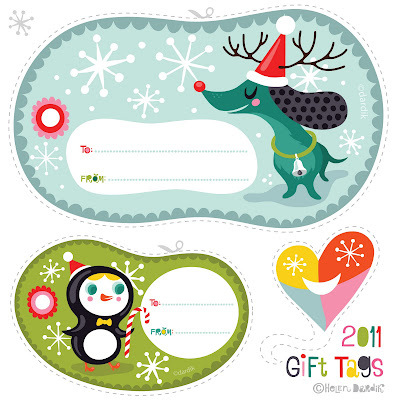 : 2011 holiday gift tags . . .
2011 holiday gift tags . . .
Hope they come in handy! • copy that to your desktop. Eee these are so cute! thank you for sharing them! These are beautiful!!! Thank you so much. Love them - you're great to do this for us!! THANK YOU SO MUCH for doing this again! I used your gift tags last year and my family seriously loved them. 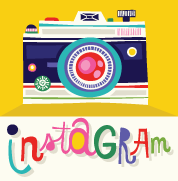 Your illustrations are wonderful! Thank you for sharing them with us! These are so awesome! Thank you for your generosity. These are super cute! And such a thoughtful idea to share these with us :) I was just looking at my Christmas cards this morning and saying I need to starting mailing them, and these tags are perfect! These are so awesome! What a nice gift to everyone. Thanks so much! So cute - beautiful colors! Thanks so much for sharing these with us - I love them! 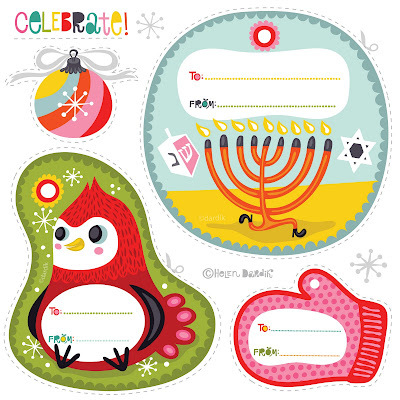 Thanks for sharing, esp for including a Hanukkah one! Its too cute. 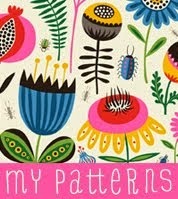 I was going to do all handmade and stamped tags... but these I just can't resist! Saw these on How about Orange, and they are so adorable - thank you for sharing them! They are wonderfull, thank you so much!! You are so sweet and generous to share you talent with us and I am very happy and thankful that you do!! ...thank you very much...generosity is key! (k'naan)...merci! thank you so much. They match my paper perfectly! Sooooooooooooo cute. I've used your tags the past two years. I LOVE them! Thank you. So fun! Thanks for sharing. many! many! many thanks ! ! ! ! and a merry Xmas to YOu ! ! ! Many thanks for these pretty tags, and a merry Xmas to you! Un grand merci pour tes belles étiquettes, quel généreux partage. Bonnes fêtes de fin d'année, que 2012 soit lumineuse. Makes me so happy that you are finding these useful:)!!! Thank you so much! I love the nostalgia of these tags, as well as your art. You are wonderfully talented! Thank you again for sharing! So fun!Thank you very much! hi my name is jessica and i'm here for the first time, i found you on pinterest and i'm in love to your blog and creations.. very very congrats your job are amazing!! Thank yuou for this beautiful tags, funny and original!! I'll use it for my gigts.. i'm sure it will a success! sorry for my bad enlglish.. Thank you so much! I'm doing some last minute gift-wrapping and realized that I forgot to pick up tags. I found you through How About Orange, and these are adorable! Cheers and Merry Christmas! Your gift tags are absolutely darling. Thanks so much for sharing. I have just saved them to use next year. I must show my gratitude for your generosity in support of folks that should have help with that concern. Your very own commitment to getting the message all through became quite advantageous and has truly empowered men and women much like me to attain their goals. The important guide means a whole lot a person like me and even more to my peers. Thanks a ton; from each one of us. Thanks a whole bunch. SO cute! cute tags...I like it and appreciate you share it. Can you suggest that which one should be best gifts for my friend? Thank you so much for sharing you talent. I love your dachshund tag. I always dress my dachshund in Christmas suit for picture for holiday! I liked and appreciate your efforts for making the list. a bit of light. . .
little wolf prince and his garden . . .